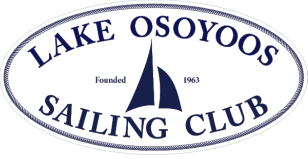 The Lake Osoyoos Sailing Club will be hosting a Spring Regatta. This year's racing event is scheduled to occur Sunday, April 28, 2019. This event is only open to LOSC members and there is no cost. The skippers' meeting will be at 1300 hrs and the first race will be at 1400 hrs. A potluck dinner will follow the races. The LOSC will be hosting the 2019 North American Sea Spray Championships, as well as a Fall Regatta (Open Class), on Sept 13 - 15, 2019. ONLINE REGISTRATION IS NOT YET OPEN. Online registration is available by clicking on the appropriate registration button. A form must be filled out for each individual sailor or for a pair sailing the same vessel. You will be sent an email with instructions for payment upon confirmation of your registration.